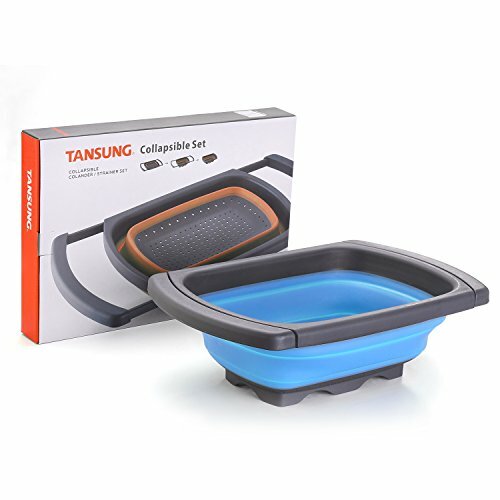 Collapsible Over Sink Colander with Handles, Food-Grade kitchen Strainer, Capacity of 6 quart, Space-Saver Folding Strainer Colander, Dishwasher Safe (blue) by TANSUNG at Baking Love. Hurry! Limited time offer. Offer valid only while supplies last.